Amidaus Professionals FC, the newly promoted side, has made a sensational start to the season. Eric Ofori Antwi, the first-choice goalkeeper, has been largely impressive, playing with a confidence rarerly found in a teenager. Antwi, a product of the well-run Red Bull Academy, is an athletic goalkeeper with excellent shot-stopping ability. Antwi is currently training with the Ghana U-20 national football team and the future looks bright. 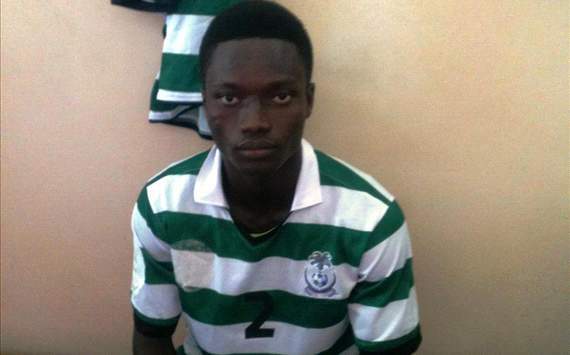 Lively youngster Prince Boateng is one of the most exciting prospects at King Faisal Babes. Boateng is an attacking all-rounder, known for speed and dribbling ability, who has scored three goals so far this season. All three goals have been scored when making substitute appearances. Boateng’s two goals against Hasaacas in last season’s playoffs qualified King Faisal for a GLO Premier League return. According to unconfirmed sources, Boateng is born in 1995. The picture is of Boateng and was found on goal.com. Watch out for the towering Richmond Neizer, a big, powerful centre-back who has played regularly throughout the season for Liberty Professionals FC. In July 2012, Neizer was a trialist at Spanish side Elche CF.